Why Are Organic Candles “in”? We are living in a world of green trends where the most contemporary and stylish products often have some form of environmental consciousness. Maybe you’re tired of seeing these products everywhere, or maybe you’re pleased with how the world is shifting focus. Either way, when we think about candles, we don’t often think of them in terms of organic or inorganic. After all, they’re just candles, right? Its not like we eat them! Well, check out these reasons below to find out why organic candles are the new essential green product! Currently, paraffin wax candles are the most widely used candle. Why, you ask? Because they are cheap to make, cheap to sell, and have dominated the candle market for decades now. However, most people don’t know what paraffin wax candles are all about. Paraffin is a derivative of petroleum oil. Burning a paraffin wax candle sends harmful carcinogenic toxins into the air, leaving soot on furniture and clothes and potentially triggering allergies. Also, paraffin candles have the tendency to contain lead wicks, which emit cancer-causing toxins into the air. On the other hand, organic candles such as soy wax, beeswax, coconut wax, or other plant-based waxes that are organically sourced don’t emit anything harmful and are completely safe to breathe! 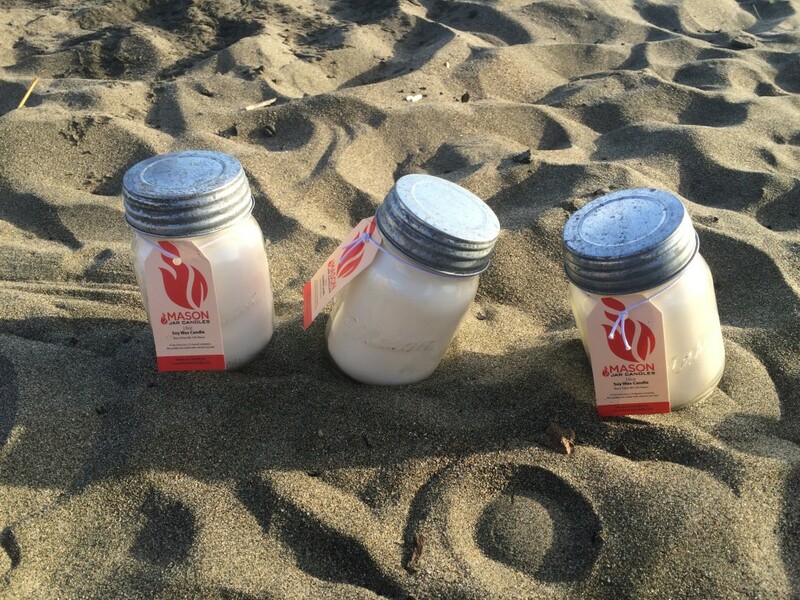 Organic candles naturally biodegrade as well, and don’t increase carbon in the atmosphere. Organic candles use essential oils and organic dyes to achieve their wonderful smells and colors. Essential oils come from plants and are called so because they capture the “essence” of the plant’s fragrance. There are even claims that essential oils can elevate moods and create an improved state of mind! Essential oils are often used in aromatherapy, which is a hugely popular modern method of alternative medicine which intends to improve your physiological well-being. You’ll be amazed at the difference between a pure smelling organic candle and an artificially-scented paraffin wax candle. Some of the most unique candles I’ve ever seen are organic. Nowadays there are thousands of companies that make organic candles in all kinds of shapes, styles, and scents. There are organic candles that come in Mason jars and coconut shells, some that contain dried leaves and other herbs that contribute to their great smells, and others that are shaped like fruit and even trees! Place them around your home or business and watch as you receive all kinds of compliments. Organic candles are a part of new contemporary organic trends that can be applied to any home or business. Great for events, great for product staging, and great for your shop. They’re the fastest growing wholesale candles on the market today. As previously stated, organic and green trends are gaining footholds in all corners of the globe. More and more, people are turning to products with less environmental impact and more sustainability. Candles fall into this category too! The love for organic candles can be seen far and wide and are making up a bigger part of the 2 billion dollar candle industry each year. If you care about the earth, and you care about the health of you and your loved ones, then organic candles are a simple and obvious choice that will reward you day after day! This entry was posted in Mason Jar Candles and tagged Non-Toxic Candles, Organic Candles, Sustainable Candles. Bookmark the permalink.